On January 8th Efficiency Maine held their annual symposium which brought together industry friends and colleagues. 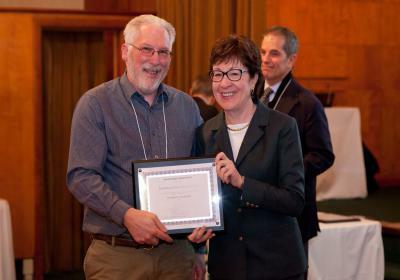 This year, Susan Collins gave the keynote address, speaking passionately about the need for action on climate change and how energy efficiency can help reduce our carbon footprint, make our homes more comfortable, and save Mainers money. “Encouraging the adoption of energy efficiency measures remains the most effective mechanism for lowering energy costs, reducing pollution, and ultimately saving money,” said Collins. “That makes energy efficiency not just good environmental policy; it’s good economics, “Said Collins. In addition to her keynote address, she also presented Penobscot Home Performance with two Efficiency Maine awards for Outstanding Contributions to Energy Efficiency. One was for leadership in the Residential Energy Efficiency Program and one was for leadership in Marketing. We were one of only two companies to receive two awards. The presentation by Senator Collins was made all that more special because only a few weeks ago, we were up in her attic air sealing and insulating! 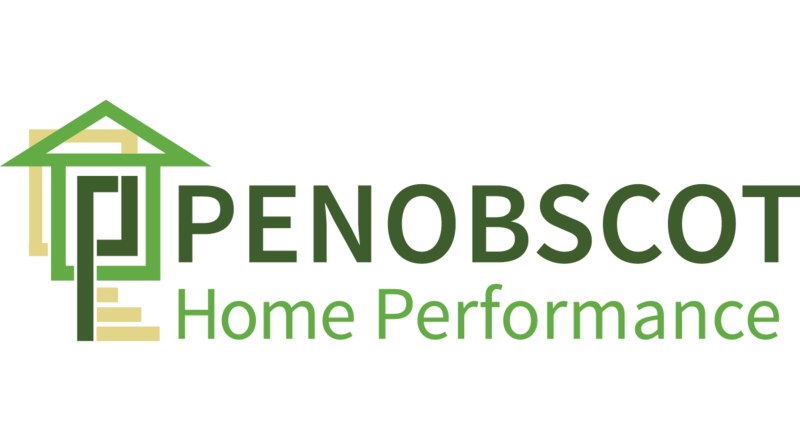 The team at Penobscot Home Performance is delighted to be honored for our hard work and commitment to make sure Maine and Mainers are doing all we can to help lower our carbon footprint, save money, and make all our homes more comfortable and energy efficient as we move into the future. For anyone interested in a free energy consult and to learn about the $4,000 in incentives available for efficiency upgrades (insulation, heat pumps, air sealing, heating systems) feel free to call 469.6100 or click here.